The Sunshine School for Children with Special Needs provides a nurturing learning environment for 30 students living in Bequia, ages five through twenty years. These children exhibit learning issues caused by a variety of physical, behavioral or mental challenges. The Sunshine School is a privately funded, not for profit, institution administered by a local Board of Directors and is reliant on donations and fundraising in order to offer the students a wonderful learning environment. The teaching of work related and life skills allows opportunities for students to contribute to their homes and communities with self-supportive skills. Glen’s pre-school, established in 1998, is a community facility providing a creche and activity center for 45 young boys and girls living in Bequia. The preschool helps the children, from ages 6 months through 4 years old, to socialize, play together, and enhance their development and learning in preparation for joining general education. Friends of Bequia Hospital, was was set up in 2013 to improve medical care on Bequia and supports the 3 medical facilities in Bequia: Bequia Hospital, Port Elizabeth Clinic, and Paget Farm Clinic. FOBH is administered by local Trustees and is reliant on donations of supplies and fundraising. The first priority is to ensure that medication, frontline supplies and consumables are available to meet the ongoing needs of the people of Bequia. The ultimate goal of FOBH is to offer a centre of medical excellence, improving medical equipment and preventing the need for Bequia residents to travel to the island of St Vincent for medical care. Bequia Animal Protection Alliance (BAPA) is a non-profit organization that has been created in response to the growing number of stray dogs in Bequia. BAPA is dedicated to preventing cruelty and replacing it with kindness to all animals. 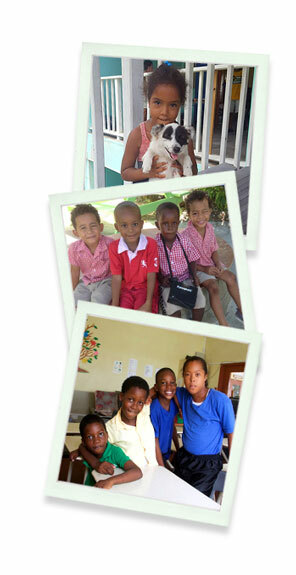 They provide medical care to animals in need and subsidizing veterinary care to low income families. BAPA conducts ongoing spay/neuter and vaccination campaigns, treats medical conditions, administers emergency/first aid care, facilitates animal adoption and conducts public education programs. A weekly animal clinic/education center is held by Dr Eric Audain in Port Elizabeth, Bequia, St. Vincent and the Grenadines. In addition to veterinary supplies, BAPA would welcome supplies of animal related toys and books to provide to children attending the public education programs. Bequia Reading Club was set up by Miss Cheryl Johnson, a former teacher, turned restaurant owner to help young people with their literacy. Local and visiting children of all ages gather every Saturday afternoon at The Fig Tree restaurant to read books with adult volunteers. Cheryl creates a great motivational learning environment, ensuring that each child participates, feeds back what they have read and gains from the experience. Each child can also choose a book at the end of each session to take home with them. Volunteers at the reading club are also very welcome and it is a hugely rewarding experience.